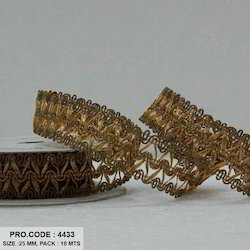 Offering you a complete choice of products which include gross grain ribbon and gota net lace. 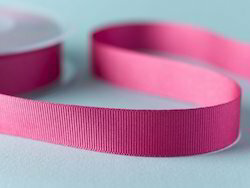 Our company has established itself as a leading name of superior quality Gross Grain Ribbon in the market at present. The offered collection is the best choice amongst similar products available in the market, owing to its exciting colors and long lasting nature. Designed with utmost care and perfection in various designs, colors and patterns, using optimum-grade threads, the offered array is highly appreciated by our clients. We have established ourselves as leading name of Gota Net Lace in the market at present. This wonderful lace from our end is widely appreciated among our clients for their various attractive range and appearance. This lace is designed inspired from the contemporary look in the fashion industry. In order to ensure their premium quality, the whole range is checked on various parameters by our quality controllers.